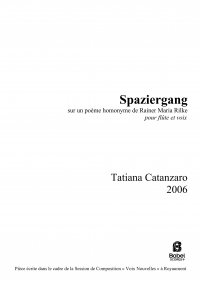 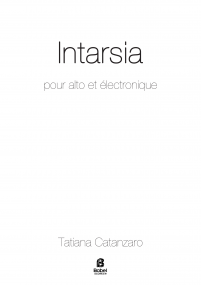 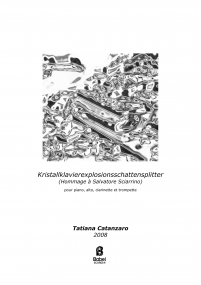 Born in Sao Paulo, Brazil, in 1976, Tatiana Catanzaro have studied composition with Willy Corrêa de Oliveira at Sao Paulo University (1994-1999), then with Silvio Ferraz (2003-2005) at Campinas University and Philippe Leroux (2007-2009) at the Conservatoire d’Aulnay-sous-Bois, in France. 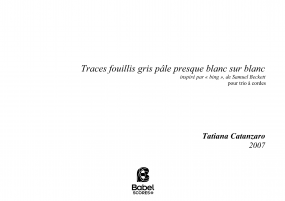 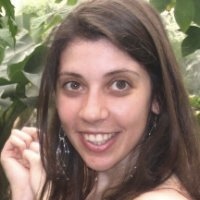 At the University, she has received scholarships from FAPESP during her Undergraduate (1999) and Master studies (2001-2003), and CAPES (2005-2009) in order to develop her Doctorate at the Université de Paris IV – Sorbonne. 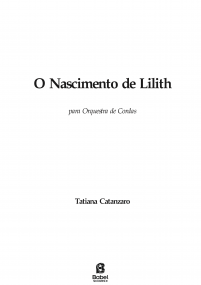 As a composer, her music has been played at the best known brazilian festivals, as «Festival Música Nova» and «Bienal de Música Contemporânea do Rio de Janeiro», and , in France, at many concerts from ensembles as Itinéraire (2005, 2008, 2009) and Alternance (2007, 2008), and within Festivals as Royaumont (2006) and Acanthes (2006). 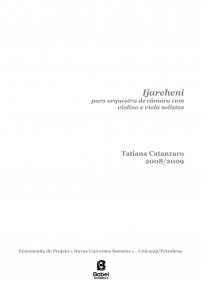 In 2009, she reveived a Commande d’État from the Frech Government and two of her pieces were recorded in two different Cds, both sponsored by Projeto Petrobrás, in Brazil.